Whether you are an amateur or a professional user of the computer, you are bound to come across problems and situations that needed to be resolved within the system. But the very first thing that one needs to know before shooting down any problem, is how to check your computer specs. This is of prime importance as this is the starting point of any solutions that you might want to try out on your own. Most of the times, simple problems can be sorted out on your own, One doesn’t really have to call in for a professional helper, if possible. So here some very popular pc performance tools that are sure to help in most problems. Each of these help with different aspects of your PC troubles, so go through all of these and choose the one that will help you solve your specific issue. 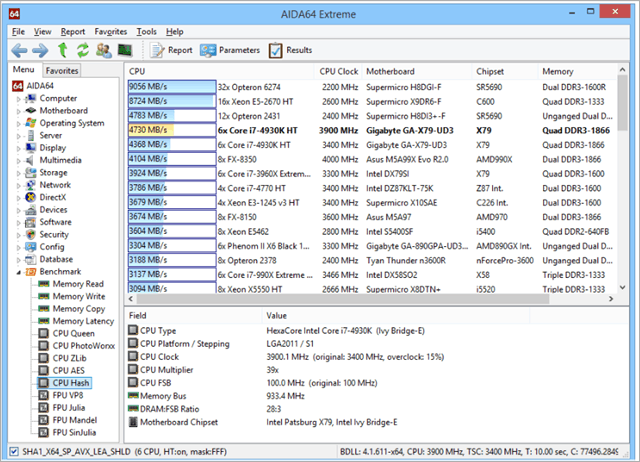 If you are a PC enthusiast, then AIDA64 Extreme is definitely going to make you very happy most of the times. This software really allows you to check your computer specs easily. It works as a system information tool that provides you with deeper information about hardware. This also offers benchmarks to help you measure the overall performance of the PC. It can provide you with complete data of accurate voltage, temperature and fan speed readings. Its diagnostic functions help detect and prevent hardware issues of your computer. 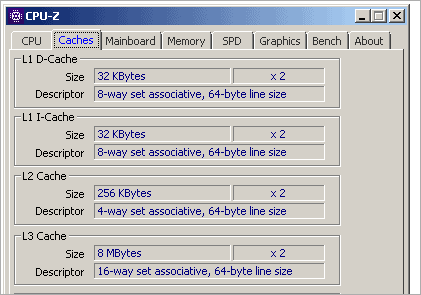 AIDA64 Extreme provides over 50 pages of information on hardware configuration. The System Stability Test uses a 64-bit multi-threaded stress testing module. It supports over 250 sensor devices to measure temperatures, voltages, fan speeds, and power draw. If you have been familiar with HWMonitor, then you will find that HWMonitor Pro is the extended version of that, with more enhancements. Along with all the basics that you get in HWMonitor, the Pro version adds Remote Monitoring, Graph Generator, and an interface with sensors in the system tray and editable sensors labels. The sensor labels can be manually edited. For that, you simply have to select the sensor line and press F2 to activate the edition. There are colored Tray icons that include Voltages, Temperature, Fan, Fan PWM, Power, Clock Speed, Utilization, Bandwidth. Overall HWMonitor is a very advanced tool which does a great job with providing you with the knowledge of how to check your computer specs most accurately. As the name suggests, Real Temp is a temperature monitoring tool that is designed for Intel Core based processors. It does not support Pentium 4 processors. 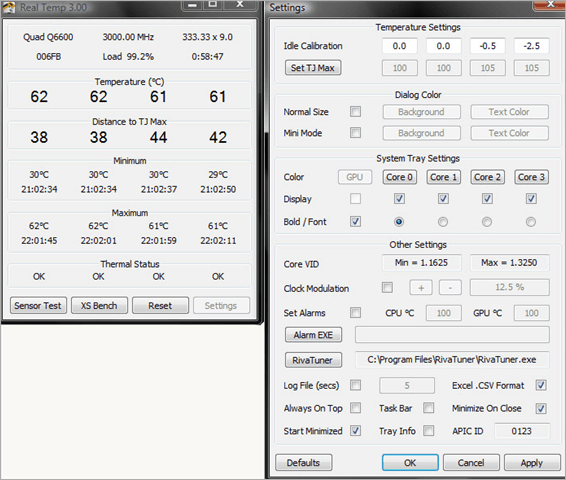 It comes with the ability to individually calibrate Real Temp for each core of your CPU. The tool uses a FLuke 62 IR Thermometer to gather temperature data. It also keeps full track of Minimum and Maximum temperatures with full logging features. It requires no installation or registry. If you don’t want to install a third-party app on your PC, you can simply go to the Windows Task Manager to see all the basic specs. 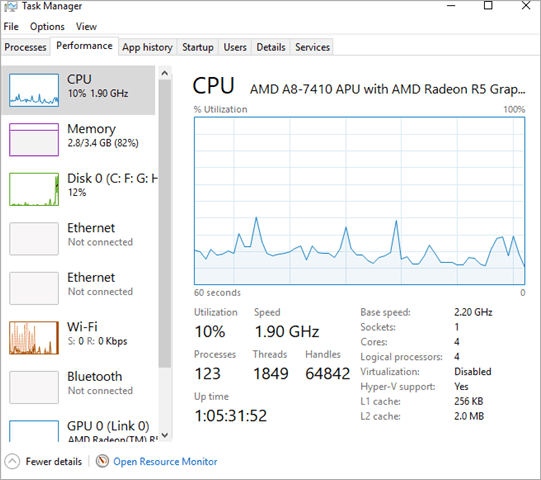 Windows Task Manager has quite good feedback of information that provides the basics of computer diagnostics. It informs of all the processes that are running on your PC so that you can assess the performance. This means about the CPU load, memory, and disk space. The CPU performance includes Utilization, Processes, and Threads. It’s the simplest option of knowing how to check your computer specs. The Open Hardware Monitor is a free software that helps you monitor temperature sensors, fan speeds, voltages, load and clock speeds of your PC. 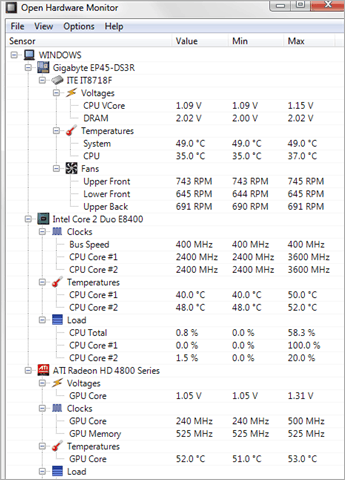 The CPU temperatures are monitored by reading the core temperature sensors of Intel and AMD processors. The sensors of ATI and Nvidia video cards and SMART hard drive temperature can be displayed. So, if you are wondering how to check your computer specs, then Open Hardware Monitor could be your easy answer. 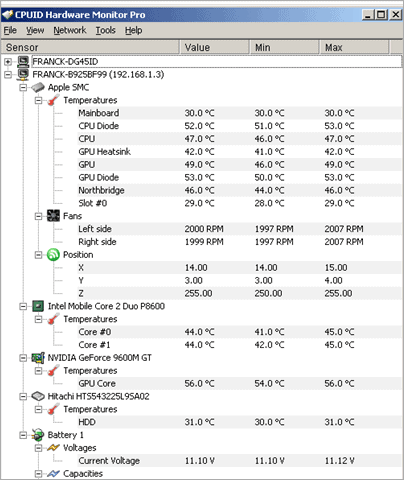 SpeedFan is a cool software to check computer diagnostic. It monitors voltages, fan speeds, and temperatures of your PC. The SpeedFan supports SCSI disks also. The good thing about this tool is that it can access digital temperature sensors and can change the fan speeds accordingly. 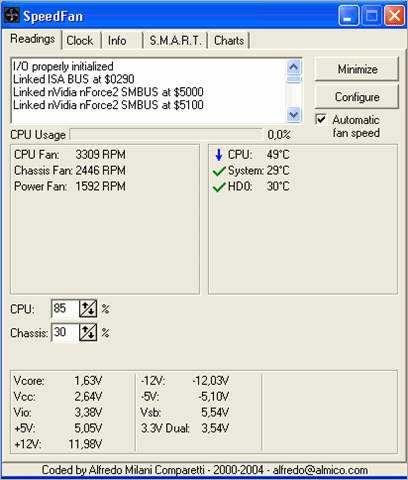 SpeedFan even accesses S.M.A.R.T info and show hard disk temperatures. 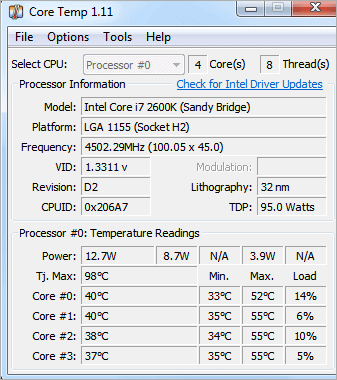 Core Temp is a small, compact and powerful tool to monitor processor temperature and other vital information. It can display a temperature of each individual core of every processor. You can also see the temperature fluctuations in real time along with varying workloads. The tool is easy to use and allows a high level of customization and expandability. Not only this, but it also provides a platform for plugins that allow developers to add new advanced features. If you are a computer enthusiast, then CPU-Z will help you to learn how to check your computer specs. It allows you to see all the data related to your computer in a very accurate and cut-to-the-point manner. It gives you information like processor name and vendor, core stepping and process, processor package, internal and external clocks, clock multiplier, partial overclock detection, and processor features. The UI of the tool is easy to find what you need to. WiFi Analyzer helps you resolve problems related to your WiFi connection. It identifies Wi-Fi issues. For example, it can find the best channel or best place for your router by turning your PC into an analyzer for the network. The free version provides all the basic features, and if you go for Pro version, you get Live-Tile Support, beeper for signal strength, and filters. 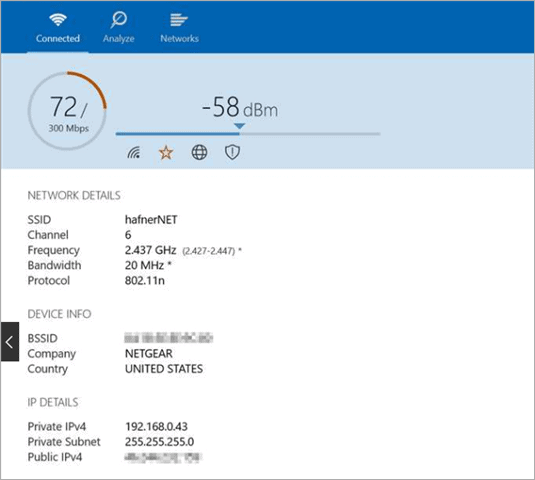 The tool is perfect for those who want to check anything related to Wi-Fi. Angry IP Scanner is an open source and cross-platform network scanner. It scans IP addresses and ports and has many other important features. This tool also scans local networks and the internet. You can export the result into many forms. It provides a command line interface. This works on Windows, Mac, and Linux. There are no trojans or viruses in the exe. 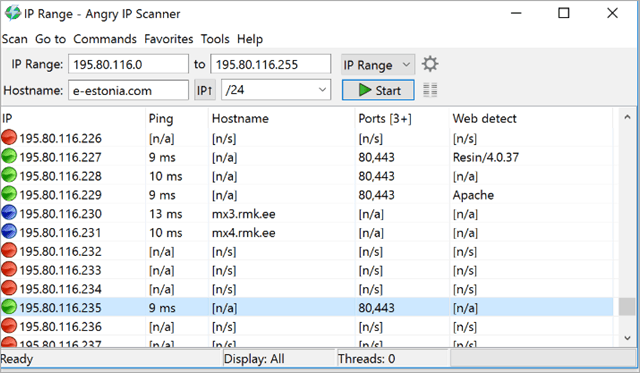 file of Angry IP Scanner so it’s safe to install on your PC. CrystalDiskInfo is an HHD/SSD utility software which supports a part of USB, Intel RAID, and NVMe. It supports features including the S.M.A.R.T (Self-Monitoring, Analysis, and Reporting Technology), APM (Advanced Power Management, AAM (Automatic Acoustic Management), NCQ (Native Command Queuing), TRIM (Trim function of DATA SET MANAGEMENT command), DevSleep. CrystalDiskInfo is a very advanced tool with features that will interest tech-savvy users who just like to dive deep into each spec of their computer. One of the best tools for how to check your computer specs. WinDirStat is a disk usage statistics viewer and cleanup tool. The representation of the data is done after it reads the whole directory on Startup. The data view is done in three parts. The Directory list that resembles the tree view of the Windows Explorer, the Treemap which displays the entire contents of the directory tree, and the Extension list which serves as a legend and displays statistics about file types. The treemap shows each file as a colored rectangle. Overall UI of the tool is attractive and innovative. 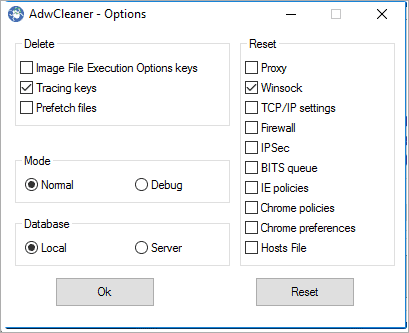 AdwCleaner is a perfect Windows diagnostic tool that searches and deletes Adware, Toolbars, Potentially Unwanted Programs, and browser hackers from your system. The tool makes it easy to remove any type of malicious file type to make the user experience better and useful. Using Adwcleaner is very simple you simply have to download it and run it. Then, you will be presented with a screen that contains a Scan and Clean button. Malwarebytes is a next-generation antivirus replacement. It comes with fur modules; anti-malware, anti-ransomware, anti-exploit, and malicious website protection. These modules help in blocking and removing known and unknown threats. 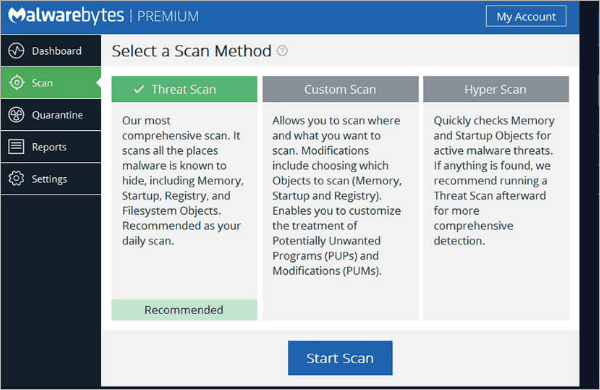 It detects and removes malware in real time, and the scanning is done using AI (Artificial Intelligence). This tool detects and prevents contact with fake websites and malicious links. ClamWin is more than just an Antivirus for Windows. It has 600,000 users worldwide on a daily basis. This features high detection rates for virus and spyware, scanning scheduler, and automatic updates. The tool is perfect if you want to see the basic computer diagnostic and whether it is affected by some malicious files or not. The best thing about this tool it is free to use unlike most of the similar tools. So these are some of the useful Windows diagnostic tools that will teach you how to check your computer specs and health. It helps you know whether the system is at risk so that you can take appropriate steps.